There are so many games that are released this time of year that it can get rather confusing to try and keep them straight. Games are now rated by genre just like movies have been for years, and it can be rather confusing to know which games are available and on which gaming console they will work. There are many “Themed” games which are basically video games that are a spin-off of a successful show, movie, or toy. 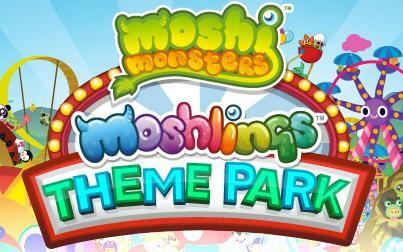 That is exactly what Moshi Monsters: Moshlings Theme Park was created to establish. It is the video game a spin-off of the popular adoptable pet. It can be difficult to keep a lot of the fad games and toys straight, so here is a breakdown of what exactly a Moshi Monster consists of. While there has been the creation of toys that are based on the Moshi Monster theme it was actually created for the online interest. The Moshi Monster is an adoptable pet that you can acquire via an online registration to the site. There is so much more to the site than just being able to adopt an adorable monster. The site actually allows children to adopt and customize their own pet, participate in daily challenges, and have a large variety of games that are available for any user to enjoy. Moshi Monsters have been wildly popular with almost 70 millions pets having been adopted. This has created a demand for the product which has launched into toys, games, magazines, books, and many other categories of entertainment. 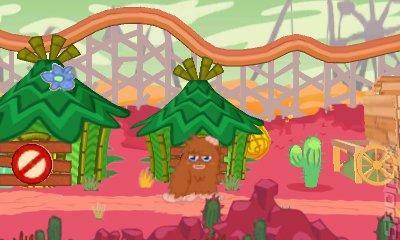 The most recent launch is the new Moshlings Theme Park game for the Nintendo DS. The Moshlings Theme Park game is an excellent game for young children. It allows them to challenge there thinking skills through a large variety of games and challenges. It also provides a little education in business when you must use your bartering skills to trade objects to advance in the game. You overall goal is to find and collect all of the missing Moshings. The game consists of 60 lost Moshlings that must be tracked down by you and returned to their proper location. The Moshlings Theme Park game is still rather new so there is a limited amount of reviews available, but overall parents have been extremely pleased with the purchase for their kids. This is the type of game that is not great for both parents and children. It has a rather concentrated age range of 6-12 the will optimize the enjoyment by the user. Anyone older than that will find the game rather simple and boring. The games are challenging enough for young children, but would not be challenging for a teenager or adult. Most of the reviews are not by the children themselves, but by the parents. The parents say that their children love the game, and would play it all of the time if they could. There is no reason why almost any child, under the age of 12, should not be able to find some kind of enjoyment in this game. The game is only available for the Nintendo DS & 3DS, so you must have one of these in order to be able to enjoy it. Currently there is not a computer or other gaming version that is available. The release of this game has been rather popular, so there is a strong chance that you will see many more Moshi Monster games in the future. They seem to be growing more popular by the minute, so they definitely are not going anywhere anytime soon. Author Bio: Jason Phillips has submitted this post. He is a continuous blogger and a game addict. He also writes reviews on various games and the latest one is Zombie Games 365.